← Enjoy the harvest at your Farmer’s Market this October…. This Saturday, October 5th, is a special date for the Farmers’ market at Penshurst. 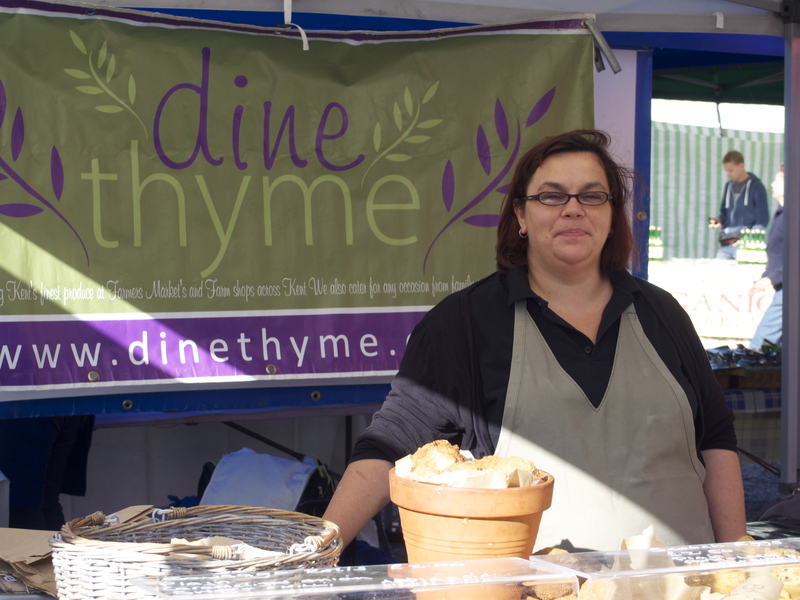 It’s our hundredth market, and we’ve now been welcoming visitors on the first Saturday of every month for over 8 years. 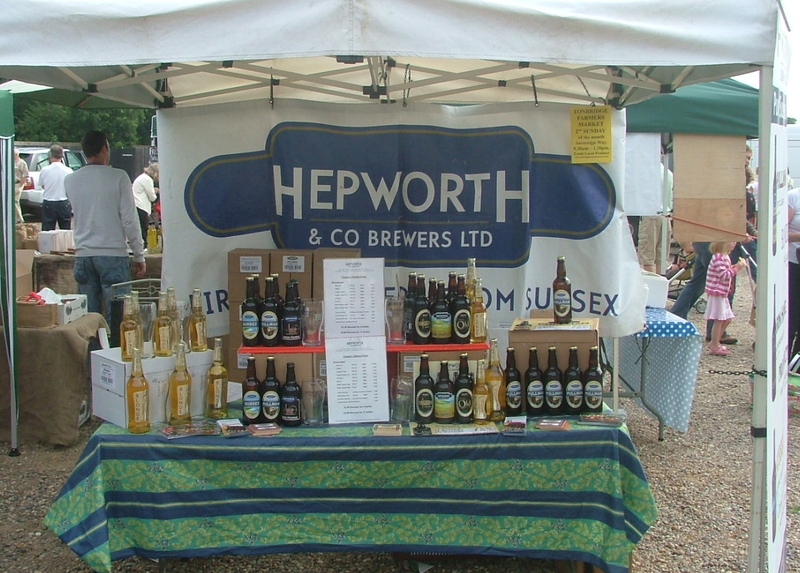 In that time the market has been voted one of the top ten markets in the country by the Times; with its spectacular setting nestled up against the walls of historic Penshurst Place, it is also recognised as one of the most picturesque.This weekend is beer day, and I’ll be working alongside Andy Hepworth of Hepworths beers; he’ll be taking about and tasting his wonderful beers, and I’ll be cooking with them. (I’ll be putting the recipes online on this blog over the weekend for you to try). I’ve been involved on the market committee now for 5 years – I volunteered because I was so impressed by the range and quality of the stalls at Penshurst, and what they had to offer. With 35 regular stall holders selling a wide range of the best quality local produce, you will find not only a vibrant atmosphere but the best quality fish, game and meat alongside beautiful bread, award winning cheeses, locally grown veg and fruit and the tastiest local eggs. These makes up the bulk of my regular staple purchases but there is always something else to tempt me to fill my basket, whether it’s the wonderful scotch eggs and cheese straws from relative newcomer Carolyn at Dine Thyme, special dog treats for my appreciative hounds from BeachDog Bakery, or wonderful flowers from Flowers in the Forest. Our stallholders always tell us what enthusiastic punters they find at Penshurst. But for all small businesses, over the last few years life has been very challenging and goes on being so. Sadly over the last year we have lost two of our regular and most committed stall holders who have had to close their businesses. In the last month we’ve had to say goodbye to Farmer Palmer. Miranda and Graham have been with us since the very first Penshurst market, and we wish them all the very best for the future – they, and their superb meat and pies, will be much missed. Earlier in the year another hard working meat producer, Lucy Hollands of The Rare Breed Pig Company and Eridge Park Farm Shop, stopped trading. This shows just how hard the current climate is for local food producers. If we want hard working local businesses to survive, we must go out of our way to support them. As a thriving market, Penshurst always has a waiting list of producers who want to join our happy band. We are proud to have been instrumental in the success of many who have found devotees at our market, and who have then moved on to new spheres. As shoppers you may see favourite stallholders come and go; some use us as a stepping stone to develop their businesses in new directions, others are not so lucky. This entry was posted in Farmers Market, In season, Uncategorized and tagged beer, beer recipes, farmers markets, Hepworths, Kent food, local food, Penshurst farmers market, penshurst place. Bookmark the permalink.